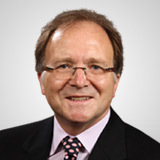 Adrian Day, editor of GlobalAnalyst.com, is well known as a global expert on hard assets and natural resources. The advisor correctly moved into energy and natural gas stocks and has benefited from their subsequent price gains. While he still holds these positions, he is now turning towards drillers as a better buying opportunity. Here's his commentary. "Natural gas prices remain firm, at the highest average price in the era of deregulation. Withdrawals from storage have been higher than expected, on the back of spurts of cold weather. Whereas storage levels throughout 2002 were, week-by-week, at or close to the maximum levels for the last four years, the last several weeks have been trending down towards the lower end of that range. This supports our contention that, though storage levels entered the winter period high, there simply is not enough new gas coming on to meet demand, indicating tight supplies. This phenomenon won’t go away quickly. There will need to be significant injections into storage during the spring and summer to provide adequate supplies for the onset of next winter. At some point, demand will cause a shortage and another price spurt. Despite a pick-up in drilling, production from both Canada and the US are expected to decline again this year. "We now see good buying opportunities among drillers. There is a need for more exploration for both gas and oil, the latter, after the Energy Department said that US crude stocks have dropped to a 27-year low. The drop in exports from Venezuela, which supplied about 10% of US needs prior to the onset of the national strike, only exacerbates the situation. For now, companies are reluctant to commit to major new drilling programs, expecting high crude prices not to last, and disappointed with recent gas exploration. Eventually, though, higher commodity prices and short supplies will see more drilling activity. Two drilling companies that we like are Nabors (NBR AMEX) and Transocean (RIG NYSE), both of which are good long-term buys at present prices, $34.50 and $22.54 respectively. Both companies tend to be highly leveraged to a pick-up in activity, as do their stocks."